“Hair relaxer sales are suffering as the natural hair trend is on the rise in black hair,” reports Mintel, a global market research group. I don’t know about you, but for me this is excellent news. Even though this is an American study, to me it simply means that more women are embracing their natural textures, and are thereby more accepting of themselves. “The sector has declined 26% since 2008 and 15% since 2011, when sales reached $179 million. It is the only category not to see growth. It was estimated that the relaxer segment will reach $152 million by the end of 2013, down from $206 million in 2008. Shampoos and conditioners formulated for black hair were estimated to reach $257 million by the end of 2013, up from $211 million in 2008. The styling-products segment has increased from $220 million in 2008 to an estimated $268 million in 2013. 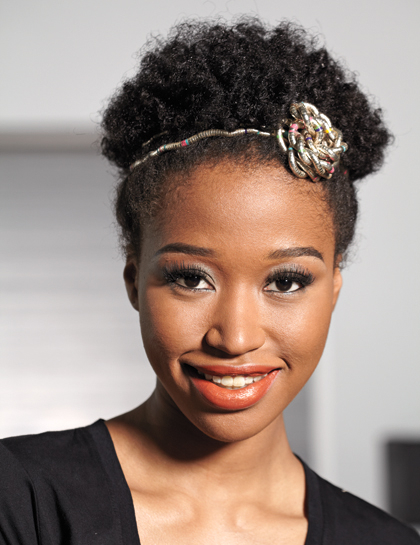 I have not seen any official figures for South Africa yet, but judging from the rise in South African natural hair blogs as well as the slow but steady increase in availability of natural hair products, there definitely seems to be a demand for natural resources and an awareness that natural is the way to go. With the Mintel research also reporting that forty-eight percent of black women believe natural or curly hairstyles exude confidence, here is hoping that even more women of colour across the globe embrace their natural selves. Reblogged this on Teach Me About My Hair .